Here's the used car buying guide to the fourth-generation Honda CR-V.
Honda has been selling a CR-V SUV of some description since about 1995 and it has been a successful nameplate for the Japanese company. The fourth-generation model arrived in 2013 and, given the success of its predecessor, it should be no surprise that the formula went largely unchanged. So, the CR-V retains its five-seat layout with a massive boot behind. Indeed, the interior in general is very spacious, with plenty of room in the back seats for three adults thanks to a flat floor. Many hanker after a seven-seat version, but alas, none exists. A significantly facelifted model is due in late 2018, including a hybrid variant for the first time. For the first year of production, the only engine option for the CR-V was Honda’s 2.2-litre diesel. It has plenty of go and is paired with an automatic part-time four-wheel-drive system that is more about traction in the wet than going seriously off-road. There were automatic and manual versions, though the former feels decidedly slow and is also less efficient. 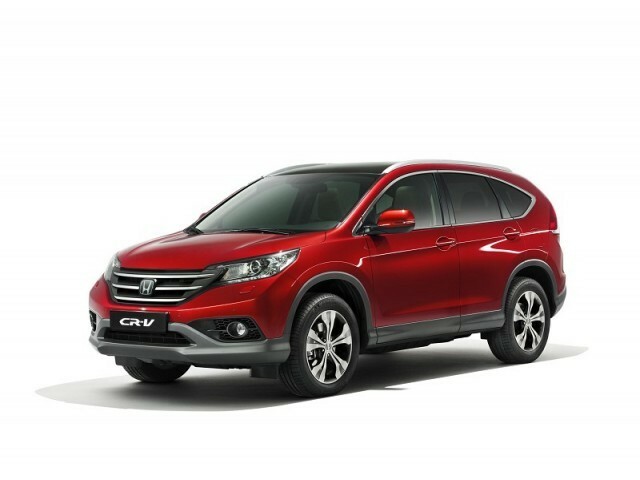 In 2014, Honda introduced a 1.6-litre diesel engine to the CR-V, and this is, by far, the most popular version of the SUV. A year later, the CR-V was facelifted mildly, and the 2.2-litre engine was replaced by a twin-turbocharged version of the 1.6-litre unit. At the same time, a more modern nine-speed automatic transmission was introduced. Trim levels run SE, ES, ES Sport and EX. If you fancy the height of an SUV and the space of the CR-V, but don’t ever envisage needing the traction of four-wheel drive, then by all means stick with a front-wheel-drive model with the 120hp 1.6-litre diesel engine. However, we reckon the CR-V is at its best with the twin-turbo 1.6-litre powerplant, making 160hp, paired with all-wheel drive. No need to splash out on the automatic gearbox (though there’s no motor tax penalty if you do), but go for as high up the specification ladder as you can afford, as to upgrade the interior, which can be a little plain in the lower trim levels. So long as you need a diesel engine, and you don’t need more than five seats, the fourth-generation Honda CR-V makes for a compelling used SUV option. It looks handsome in a restrained way, has a simply massive interior, good engines and should be endlessly reliable.